Metodická kniha pro uèitele zabývající se dovedností ètení z teoretického i praktického hlediska. This book is for anyone who wants to provide their learners with rich and rewarding reading experiences. Drawing on current reading theory, the book promotes the teaching of reading in a theoretically sound way, moving beyond a comprehension-testing approach to reading. 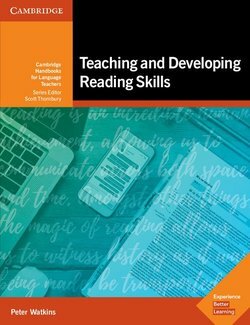 The practical part of the book provides a collection of accessible, generic activities so that teachers can support and develop learners' reading skills and strategies. Its scope is wide-ranging, from promoting reading and developing fluency, to exploiting digital sources, using learner-generated texts and assessing reading. Further activities support teachers to develop excellence in the teaching of reading through guided reflection and action research.